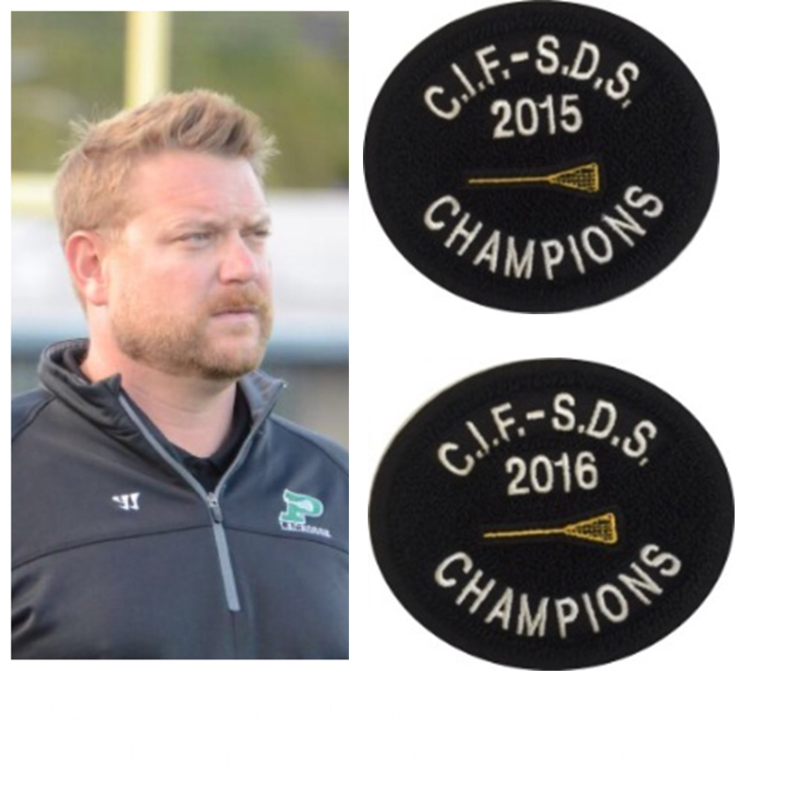 Coach Burke will begin his fifth season as the Poway High School Varsity Coach. In his four seasons, he has posted an impressive 63-25 record and led his Titans to back-to-back 2015 & 2016 CIF-SDS Open Division Championships! Prior to his move to Southern California, Zack was the Head Coach at Archbishop Spalding, Baltimore, MD which competes in the highly competitive MIAA A Conference. In 2008, Zack lead Archbishop Spalding to its first play-off appearance in the MIAA A Conference and was named the Baltimore Sun’s “Coach of the Year”. A four-year starter at the University of Maryland Baltimore County from 1997-2000, Burke helped lead the Retrievers to their first NCAA play-off appearance in 1998 and was named captain of the 2000 team. After College, Zack played professionally for the Philadelphia Wings for three years. Zack is a native of Annapolis, MD where he graduated from St. Mary’s High School in 1996. At St. Mary’s, Zack was captain of a Saints team that went 17-0, won the MIAA A Conference Championship and was ranked #1 in the country by lacrosse Magazine in 1996. He also captained the Saints MIAA Football team that won the MIAA Conference Championship that year as well. Zack was named All-County in both sports that year. Zack is also the Director of 3D San Diego. He lives in San Diego with his wife, Jill and their three children.